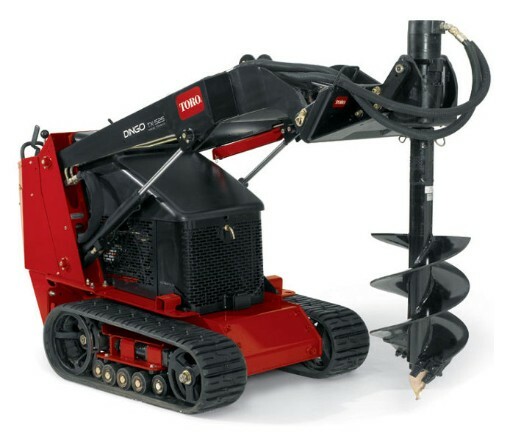 Looking to rent universal swivel auger attachments for the Toro Dingo in Rochester NY, Ithaca NY and Western New York? Highly recommended by professional contractors for bits up to 24 inches. Engineered to swivel up to 15 degrees, right or left – – ideal for difficult terrain. Superior high torque drive results in 960 pounds of torque at 3000 pounds per square inch and 86 RPMs, resulting in tremendous break-through force.